Tony gives teachers great advice on how to effectively manage a classroom that includes students with Asperger’s. He offers tips for success and social/behavioral warning signs to watch for. 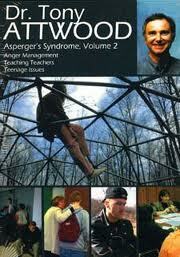 He also shares helpful strategies for teaching adolescents with Asperger’s. Since social skills are so imperative at this age, this tends to be a particularly challenging age for students and, consequently, for teachers. You will l earn how to curb anger and take preventative steps to avoid conflicts. Create a positive learning environment where ALL students thrive. 3 hours. This entry was posted in Adolescent/Transition Issues, Our Library, Social Skills and tagged ASD awareness, Autism Spectrum Disorder, DVD, social skill, Tony Attwood. Bookmark the permalink.